Buried knife on O.J. Simpson’s property recovered. O.J. 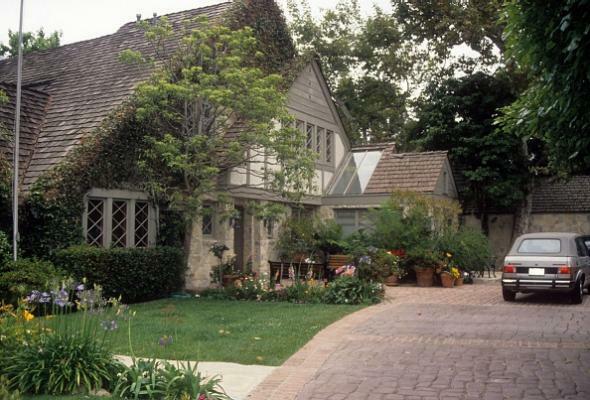 Simpson’s home in the Brentwood neighborhood of Los Angeles in a photo from June 1994. The home was demolished in 1998. We’re told a construction worker found the knife years ago—we have heard several different stories, ranging from “several years ago” to 1998, when the house was demolished. Turns out the cop—who worked in the traffic division—was off duty at the time, working security for a movie shoot at a house across the street on Rockingham. Our sources say the officer took the knife home and kept it … kept it for years. A “buck knife” is a type of folding knife whose blade can be locked open. Police and prosecutors never recovered a murder weapon in Simpson’s case; he was found not guilty by a jury on charges of killing Nicole Brown and Ronald Goldman but was later found liable for Goldman’s death in a civil trial. Simpson was then convicted of armed robbery and kidnapping in Las Vegas in 2008 and is eligible for parole beginning in 2017. The knife is now in the process of being tested for hair, fingerprints, DNA, and other potential evidence. Simpson, of course, cannot be retried for murder because he’s already been acquitted. This story is weird, right? It seems too weird, like it’s a publicity stunt for the FX show? And yet multiple outlets have apparently confirmed it with the LAPD. Weird.